At The Center for Cosmetic & Family Dentistry, your family’s health and wellness is our top priority. We are firm believers that prevention is the best medicine – we would rather see our patients twice yearly for regular exams and cleanings, than have to treat an advanced case of gum disease and replace missing teeth. That’s why we are happy to see patients as young as one year old for their first pediatric checkup. One common “dental myth” we’ve heard floating around Destin and Panama City Beach is that caring for primary or baby teeth is not important because “they’re just going to lose them anyways.” This is a dangerous notion that could not be farther from the truth. The fact of the matter is, primary teeth set the stage for adult teeth later on in life, and if they are not properly cared for, the adult teeth that replace them will likely be compromised as well. Pediatric dentistry is also important because the habits that we form as adults are usually a result of those formed in early childhood, which is why establishing a good oral home care routine early on is essential in maintaining good oral health habits that will last a lifetime. At The Center for Cosmetic & Family Dentistry, “family dentistry” doesn’t just mean that we treat children. It means we are happy to provide all Destin and Panama City Beach patients – 0-100 – with dental solutions that will last a lifetime. It also means that we understand your active lifestyle, and making multiple trips to the dentist is not always ideal, or even an option. That’s why we’re happy to offer Family Appointment blocks, so you can get the whole family in, out, and on with your lives in a single visit. 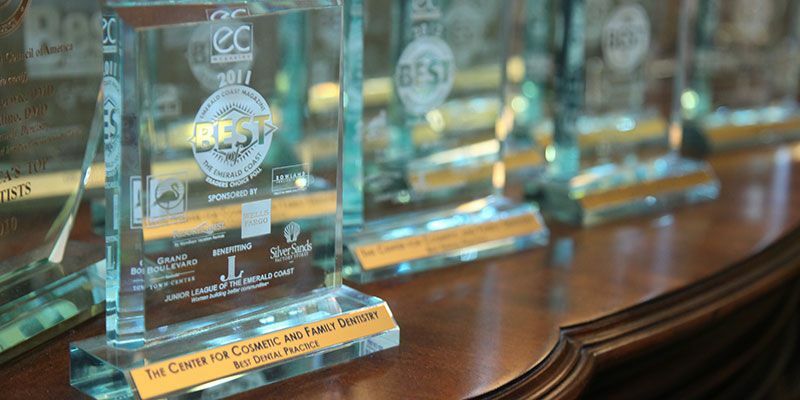 At The Center for Cosmetic & Family Dentistry, with two convenient locations in Destin and Panama City Beach, your family’s health and wellness is our top priority. For questions or to schedule an appointment, please feel free to contact us today – 850-810-0300 in Destin, 850-810-0600 in Panama City Beach. We want to help you pass down generations of beautiful, healthy smiles.